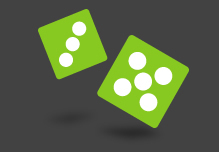 Stage a “Major” contest at your event with a Masters Dice Roll. We’ll provide a set of seven branded dice (as shown above) complete with your logo plus an event pack with signs and a branded dice tray. You run the contest offering guests the chance to win a trip for four to the US Masters. If anyone rolls the dice and lands all seven letters face up, they’re a winner! A great way to create additional entertainment during the day or evenings entertainment. Other themes and prizes can be incorporated if you wish to offer cars or cash for example as a prize.